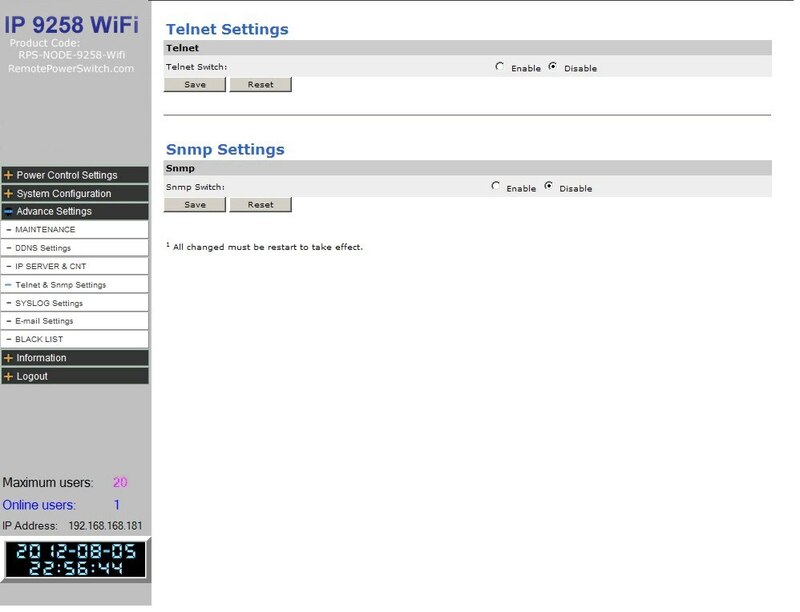 WiFi 802.11 b/g connectable remote power switch. Internet Power Controller. Here you can Enable/Disable the SysLog option. 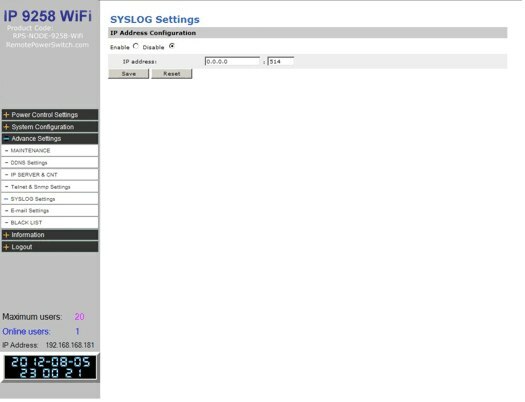 Enter the IP address of your SysLog server and select Save. 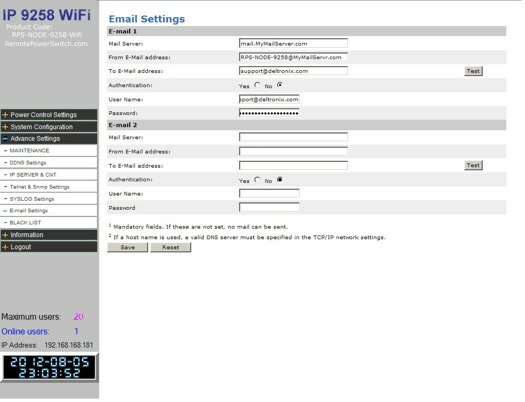 The email function allows the RPS-NODE-9258-WiFi to setup up to 2 separate E-mails Accounts for notifications. Mail Server: Enter your Outgoing Mail Server Host Name or IP address. Authentication: If the mail server needs authenticated select YES. User Name: Login Account for the Mail Server. Password: Password for your above account.